2017 ended with quite a surprise for me: I was contacted by the afro-urban TV channel TRACE just over a month ago for a rather special event. They had invited French president Emmanuel Macron to exchange with the African youth and answer their most pressing questions, and he agreed. 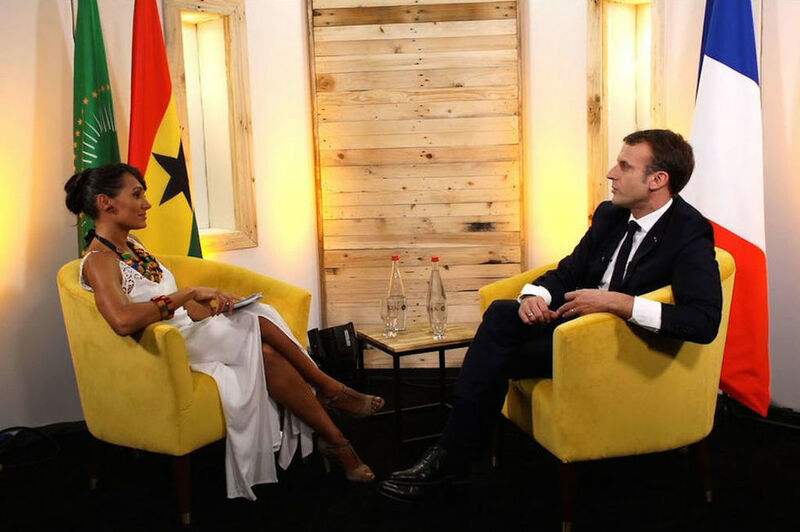 I hosted the show « TRACE Meets Macron » in a start-up incubator in Accra, Ghana, where the president met several young successful African entrepreneurs. In my face-to-face interview, we discussed issues such as education, employment, colonialism and the actual migration issue. Now I am excited to see what 2018 will bring! I wish you all the best!